Leica Geosystems has announced that its ground-breaking Leica BLK3D 3D imager has earned multiple prestigious global design and innovation awards. The first BLK3D units began shipping to customers last month. 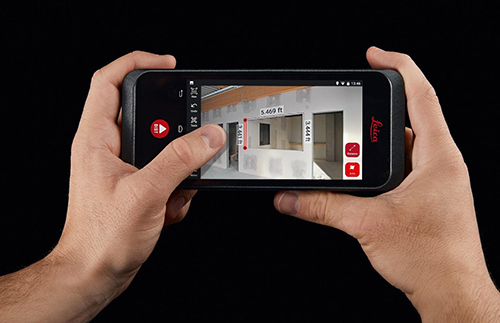 Designed to impact the work of professionals across a range of industries, including architecture, construction, public safety and real estate, the compact handheld BLK3D improves productivity by enabling instant, precise 3D measurements from any image it captures. Accolades for the Leica BLK3D include the CES 2019 Innovation Awards Best of Innovation Honouree. The annual CES Innovation Awards programme celebrates outstanding product design and engineering in brand new consumer technology products across 28 product categories. It also achieved the BAKA Award for Product Innovation 2019. Announced at the international construction trade fair BAU in Munich, Germany, the BLK3D secured this special prize for its innovative technology, design quality, efficiency and versatility. The award recognises exceptional product ideas and solutions for use in renovation and renewal projects.